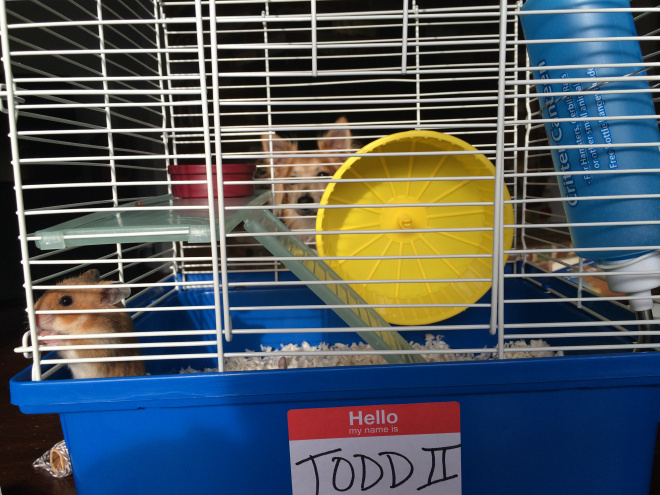 I know this is a food blog, and I’m not planning on eating Todd II, but let’s talk about hamsters. Because kids love cake and kids love hamsters. But that doesn’t mean they should have either, not all the time. Last week was my son’s 6th birthday. I love my son, and I especially love making him crack up because he’s got a great sense of humor and he loves to laugh. While this is adorable, and fun and fills our home with an insane amount of joy, it is not a good reason to bring a living creature into your family unit. Still, that’s what went down.